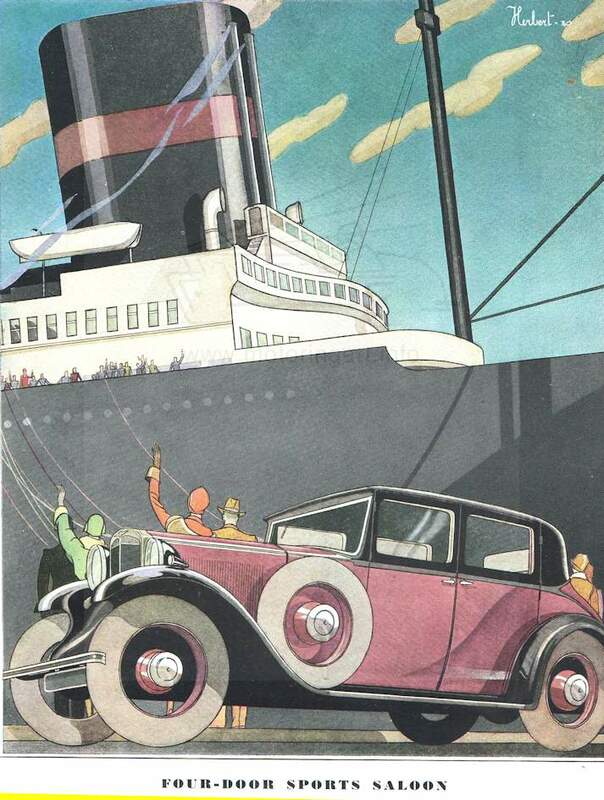 Early in his career he Illustrated Hillman sales brochures 1930 & 1932. 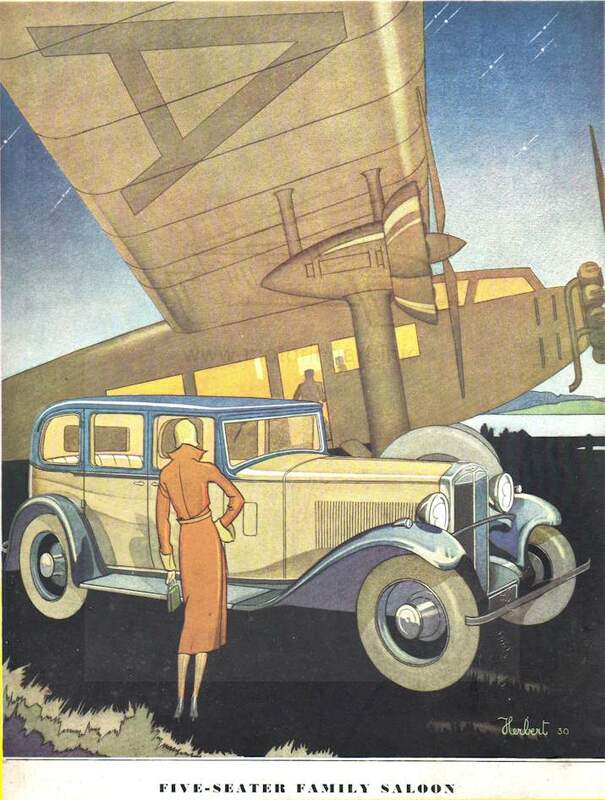 Front cover designs for The Autocar magazine 30th August 1929 ROP Oils and Hillman cars 15th November 1929. Interesting that the artwork above were signed in a script Herbert but later works were in sloping or upright HERBERT capitals. He also did work for Humber so possibly he was a staff artist for The Rootes Group. 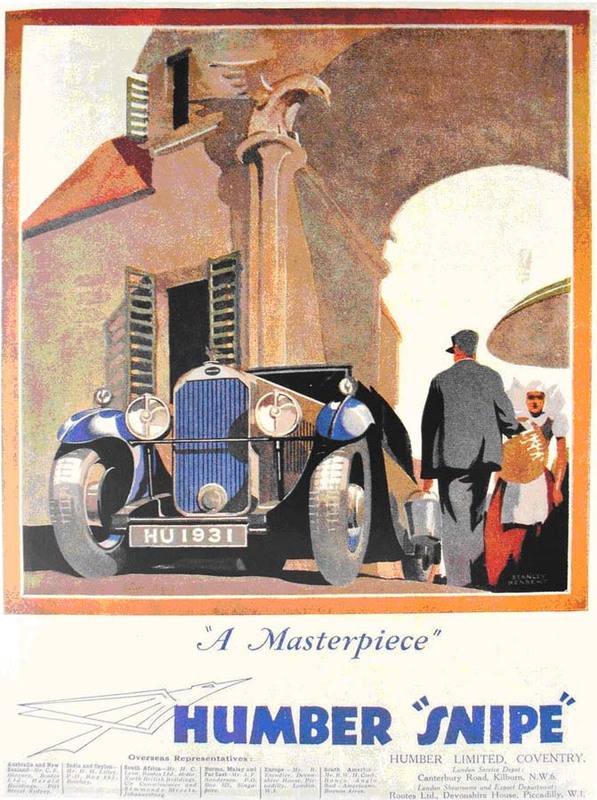 In later life he produced many posters for different clients such as London Transport, Imperial Airways and BOAC. He also illustrated books and comics plus was a principal illustrator for the Radio Times. He also taught poster design at the Reimann School in London.